The original woodcut jpg was airbrushed, retouched and a 'hot wax coat' was applied in PaintShopPro. The 'hot wax' created a nice effect of punched metal. 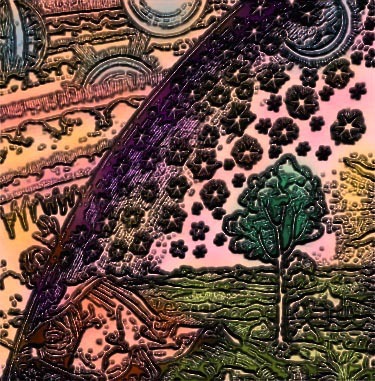 Wheels Within Wheels and Fractal Planet.